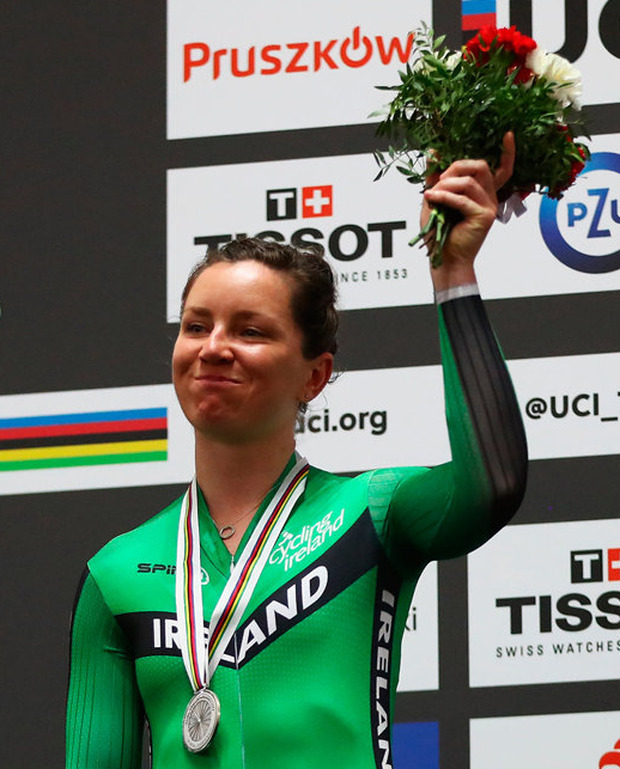 Lydia Boylan capped a fantastic weekend for Irish cycling with a silver medal in the Women's Points Race at the World Track Championships in Pruszkow, Poland, yesterday. Having claimed five points for winning the third intermediate sprint of the 25km race on the velodrome, Dubliner Boylan went clear with Russian rider Gulnaz Badykova with less than 10 laps to race and the duo lapped the field to gain an extra 20 points each. Having claimed another three points in between, Boylan was in the gold medal position, two points ahead of Australian Alexandra Manly, with five laps to go and only the final sprint to contest. Fatigued from her lap gain and with little time to recover, Boylan failed to score in the final sprint. Manly took three points for third across the line and snatched the rainbow jersey and world title by a single point, with Kirsten Wild of Holland taking bronze with 26 points. A triple national road race champion and a silver medallist on the track at the European Championships previously, Boylan was delighted to take her first World Championship medal. "It still hasn't sunk in that I've finally done something on the world stage," she said afterwards. "I kept taking a sneaky look up at the leaderboard, and I knew I needed to move up. "That sort of racing suits me, because I know I can just dig deeper - we push ourselves so hard in training. I moved up and I gave it my best, but the legs fell off a bit in the last couple of laps. It's a big boost of confidence for me, for sure. I still can't believe it." 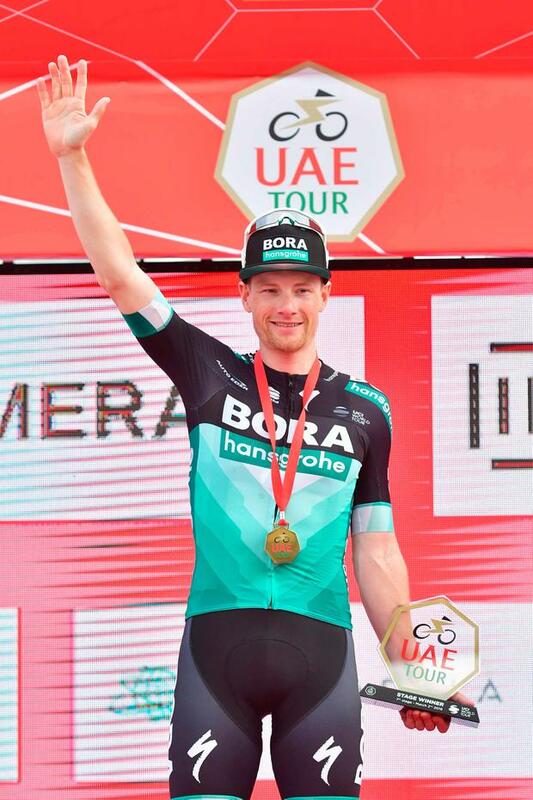 On the road, Sam Bennett added more Irish glory when he claimed victory on the final stage of the UAE Tour in Dubai on Saturday. After going close in a blanket finish on stage four, Bennett showed a clean pair of wheels to the fastest sprinters in the world at the end of Saturday's 145km final stage, with Fernando Gaviria (UAE-Emirates), Caleb Ewan (Lotto-Soudal), Alexander Kristoff (UAE-Emirates) and Elia Viviani (Deceuninck-Quickstep) rounding out the top five behind him. Having been overlooked by his Bora-Hansgrohe team for selection for the Giro d'Italia this May, a race where he won three stages last year, Bennett admitted he wanted to make a good start to this season and was happy to have added to his stage win at the Tour of San Juan in February. "It's great for the confidence," said the Carrick-on-Suir sprinter afterwards. "I put a lot of pressure on myself the last couple of months to come out with good form at the start of the season and the last couple of races I have got a win. I'm really happy with this. I think you could see my relief after the line. "Of course I wanted to go to the Giro, but I respect the team's decision. There are other races for me to go and try and win at. I just want to take every opportunity as it comes now." The week-long World Tour race was won by Slovenian Primoz Roglic (Jumbo-Visma) with Ireland's Dan Martin finishing seventh overall, a minute and 11 seconds down. In France, Ireland U-23 international Darragh O'Mahony, riding for the CC Nogent-sur-Oise amateur team took victory from a six-man breakaway at the end of the Grand Prix Saint-Hilaire-du-Harcouet in Normandy. At home, Sean Moore (Bioracer) won the season opening Mick Lally Memorial in Summerhill, Jude Sands of Newry Wheelers took the Phoenix Grand Prix, Chris McGlinchey (Vitus) took the Annaclone GP, Angus Fyffe (Caldwell Cycles) claimed the Cycleways Cup in Navan, while the Lacey Cup in Tralee was abandoned shortly after the start due to the icy road conditions.